Scotch whisky has something of an intimidating reputation, for sure an acquired taste, and a spirit with such a long and revered heritage that you might feel you need to be in some way qualified to drink it. You don't. But, as with any expensive drink – this one expertly concocted in the venerable distilleries of Scotland, then aged for at least three years – it's beneficial to know the time-tested ways to drink Scotch that best showcase its complex flavors. That doesn't means always eschewing mixers, as a variety of drinks do blend well with Scotch. 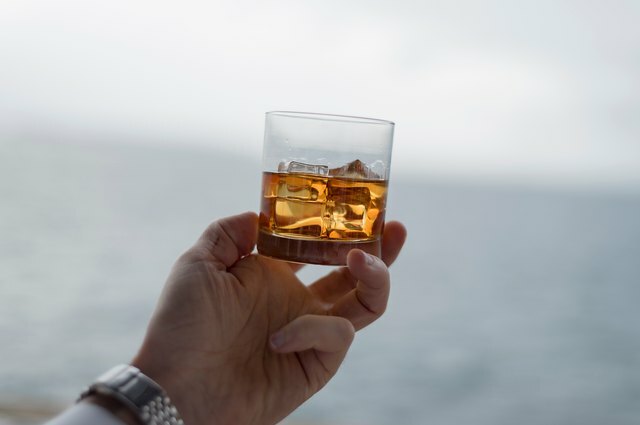 In fact, there are ample Scotch-based mixed drinks that encourage you to enjoy the spirit's peaty perfume and smoldering potency in the manner that most appeals to your palate. The Scots, as well as most Scotch aficionados, say that Scotch whisky should be consumed either neat, preferably in a tulip-shaped "snifter" glass, or with a tiny splash of water. Scottish distilleries and tasting rooms typically add a few drops of water from a pipette to servings of Scotch to bring out their flavors and tamper down the intensity of the high-alcohol content. 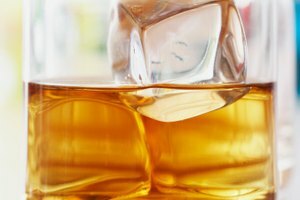 Ice, on the other hand, is believed to dull the flavors and water down Scotch too much as it melts, so it's generally avoided. However, these are not hard and fast rules, and every sip of Scotch need not be a serious tasting experience. If you like your drinks icy cold, add ice – in reality, many Scots do just that. Take the expert-endorsed idea of adding a drop of water to your Scotch a step further and enjoy Scotch diluted with soda water – in a bar, simply order a Scotch and soda. Another minimalist option is a Scotch sour, with a squeeze of fresh lemon juice and ice, plus an optional splash of tonic. Add ginger and honey syrup to a Scotch sour to make a drink called a penicillin. Ginger ale is a popular mixer for Scotch. If you use part ginger ale and part soda water, the drink is called a Presbyterian. With lemon or lime juice added to the mix, and sometimes a dash of flavored syrup, it becomes a "buck." 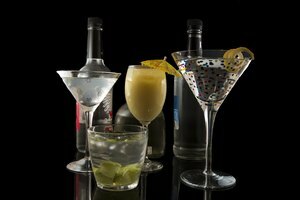 Experiment with your own mixers in flavors that complement Scotch, which include citrus, apple and pear, honey and maple for sweetness, and warming spices like cinnamon, ginger and allspice. A hot toddy is a traditional wintertime drink of Scotch mixed with strong hot tea, lemon juice and honey. Any British-type tea, such as English breakfast tea, Tetley's or PG Tips, will work for a classic hot toddy, but you can substitute any tea you like, as well as any sweetener and any citrus. Try combinations of ginger, chamomile or chai tea with maple syrup or brown sugar. Enjoy a toddy in warmer weather by using iced tea instead of hot. 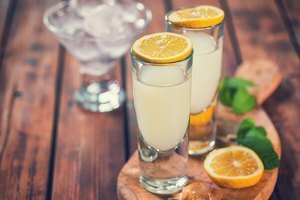 Scotch doesn't feature in as many well-known cocktails as some other spirits, but there are several classics whose original recipes feature Scotch. The Godfather is simple and potent, calling for equal parts Scotch and Amaretto, a sweet almond liqueur, served over ice. Play with the ratios and use less amaretto if you find the traditional recipe too sweet. A Rusty Nail is two parts Scotch to one part Drambuie, a Scotch-based liqueur. The Rusty Compass is similar, but adds a small amount of cherry brandy. Cherry liqueur also flavors a Blood and Sand, a cocktail also comprising Scotch, sweet vermouth and freshly squeezed orange juice. 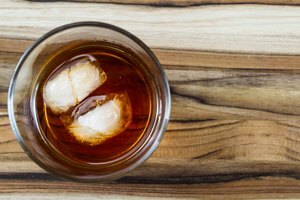 If you enjoy a classic Manhattan cocktail, use Scotch in place of bourbon or rye whiskey, mix with sweet vermouth and a dash of orange bitters, and you have a Rob Roy. 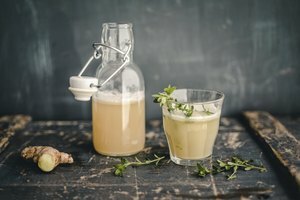 When you want to create your own Scotch cocktails, a good place to start is with other classic, whiskey-based cocktails. Simply substitute Scotch for the traditional type of whiskey, whether it's American or Irish. Try using Scotch in an old fashioned, which calls for sugar or simple syrup, a dash of bitters and splash of water. A Boulevardier, which is made using whiskey, sweet vermouth and Campari, might appeal with Scotch in place of the traditional bourbon or rye. By muddling Scotch instead of bourbon with sugar, water and fresh mint leaves, you'll take a mint julep from Kentucky to Bonnie Scotland.